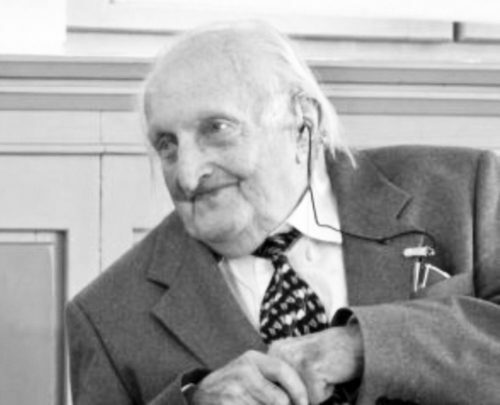 German gay activist Wolfgang Lauinger passed away this week at age 99. German gay activists paid their respects to Lauinger, who was imprisoned both by the Nazis and by the postwar West German government. “We bow before a wonderful person, who fought to the end for the rehabilitation of persecuted gay people and the compensation for all consequences of imprisonment and conviction as a result of § 175,” the Magnus Hirschfeld Foundation tweeted. Lauinger is best known for his campaign against Paragraph 175, the German law that outlawed male homosexuality. Passed in 1871, the Nazis in 1935 tightened up enforcement of Paragraph 175 by conducting more arrests and increasing the maximum jail sentence for male homosexuality to five years. Around 50,000 people were convicted between 1933 and 1945 under the law, and it sent between 5000 and 10,000 gay and bi men to concentration camps. Lauinger spent several months in prison from 1941 to 1942 because he participated in a youth group called the “Swingkids” that was set up as an alternative to the Hitler Youth. He went into hiding after he left prison. Paragraph 175 stayed on the books and West Germany enforced the law after the war. Lauinger was arrested during the Frankfurt Homosexual Trials in 1950, when over 200 men were arrested for homosexuality. Several of the men committed suicide. Lauinger was held for five months in prison, but was released without being charged because the only witness refused to testify against him. He was one of the activists who campaigned to repeal Paragraph 175, which Germany abolished in 1994. This past year, the German government passed a law to compensate men who were imprisoned under Paragraph 175. Lauinger’s application, though, was turned down by the Justice Ministry because he was never convicted.